The botonics Plastic Surgery Group are honoured to have been one of the first clinics in the UK to retail the revolutionary Dr Levy stem cell cosmeceutical range. Dr Phillip Levy hand selected botonics to be among the first clinics in the UK to represent his brand in the UK following a personal meeting in London. Dr Levy is an internationally renowned pioneer in Cosmetic Dermatology. Among his achievements are having introduced the cosmetic use of Botox into Switzerland, pioneered pain free dermal filler treatments via the integration of the anaesthetic lidocaine and inventing the Nefertiti Botox Lift. 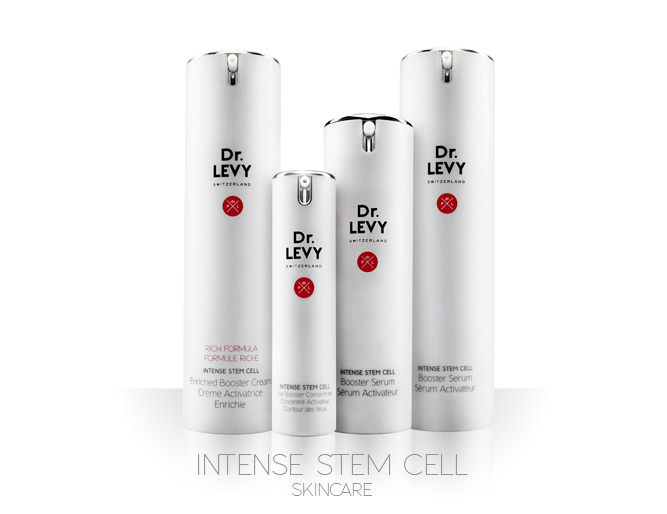 Based on one of the most important recent anti-ageing discoveries – the dermal stem cells reservoir – Dr. LEVY Switzerland® contains the revolutionary patented ArganCellActiv® complex, a combination of 10 ultra potent anti-ageing & hydrating molecules. 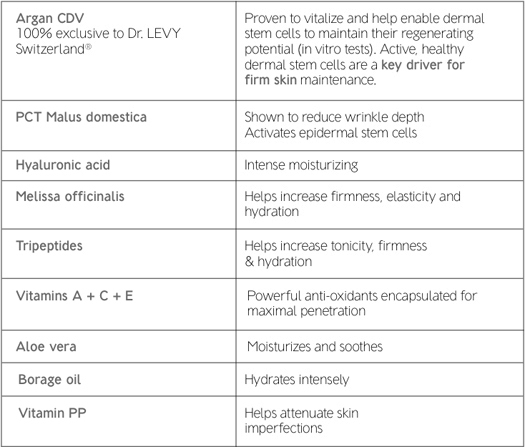 In particular, it exclusively includes Argan CDV, a plant-derived stem cell activator scientifically proven to vitalize dermal stem cells1- the source of the skin’s natural wrinkle fighting cells. The Booster Cream and Serum are packed in advanced airless technology dispensers that protect the ultra-potent ArganCellActiv® formula from air and maintain the treatment’s exceptional anti-ageing properties. What’s behind skin ageing? Worn-out, tired stem cells. That’s one of the scientifically proven causes of chronological ageing. 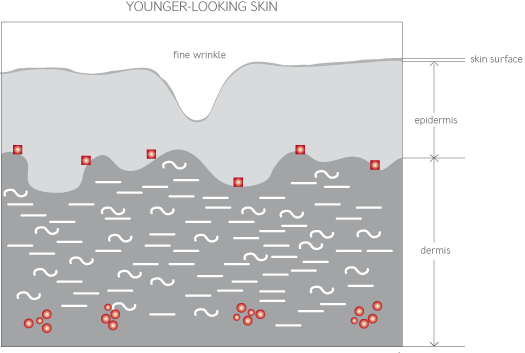 With time, stem cells in both the epidermis and the dermis weaken, there are fewer collagen and elastin fibers and decreased amounts of hyaluronic acid. As a result, skin becomes dry, thinner, less plump. And wrinkles start to appear. 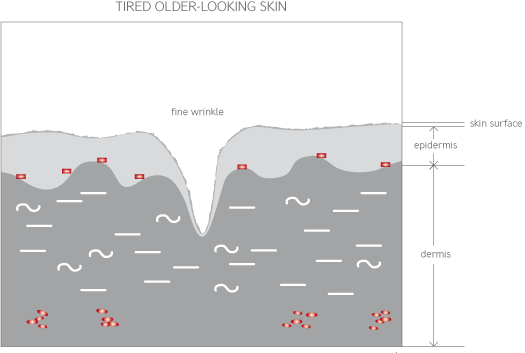 “You might not remember how your skin was 20 years ago, but your stem cells certainly do.” Cells are like a time machine: they not only remember their youth, but that can actually go back in time. The potential is in your cells, all they need is a gentle wake-up call. This is what French scientists successfully proved in 2011, when they turned age-worn skin cells in people over 90 – including a centenarian – into rejuvenated stem cells indistinguishable from those in embryos. Not only did they prove that ageing is reversible, but they demonstrated that the key to turn back time was already present within our own cells. For decades, skin specialists have considered dermal stem cells to be the holy grail to stop – and reverse – skin ageing. This is because dermal stem cells are the mother cells of fibroblasts, the skin’s natural factory of those essential anti-wrinkle fighters: collagen & elastin. Yet, treating dermal stem cells remained a dream until 2009 when their “reservoirs” were finally discovered by a team of Canadian scientists (Cells Stem Cells, Dec 2009). With this discovery, Dr. Phillip Levy knew he now had at his reach the tools necessary to revolutionize anti-ageing skin treatments, the same way Botox® and pain-free hyaluronic acid transformed aesthetic medicine. Dr. LEVY Switzerland® works. Its supercharged ArganCellActiv® complex contains exclusively ArganCDV, a plant-derived stem cell extract scientifically proven to boost the vitality of dermal stem cells – the source of the skin’s natural wrinkle fighting cells. Combined with an epidermal stem cell activators and 9 other concentrated anti-aging ingredients, Dr. LEVY Switzerland® helps vitalize the skin’s own regenerating system. For a visibly smoother, more youthful & radiant looking skin. 1. Booster Serum: For a visibly smoother, more youthful and radiant looking skin. 2. Eye Booster Concentrate: The same spectacular anti-ageing ingredients in a supercharged eye contour serum. 3. Booster Cream: For a visibly smoother, more youthful and radiant looking skin. 4. Enriched Booster Cream: The same spectacular anti-ageing ingredients in an ultra nourishing Enriched Booster Cream. Intensely hydrating for dry skin. Start with the Booster Serum and Eye Booster Concentrate during the first 2 – 4 weeks. After that, you can begin to use either the Booster Cream (normal skin) OR Enriched Booster Cream (dry skin). For more information, see our full Dr Levy Swizterland treatment protocol. To order your products, or if you have any questions, kindly Contact us and we will be pleased to help.